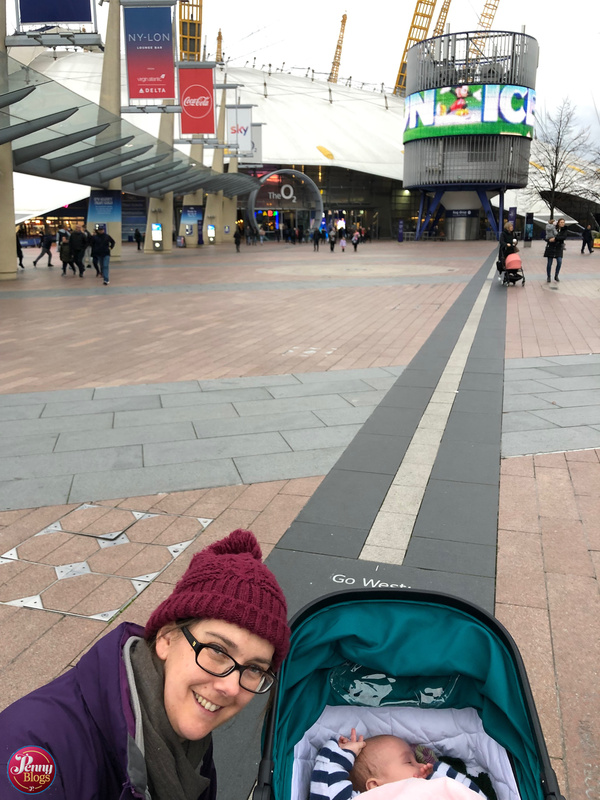 Our exploring of the Jubilee Line extension continues with the station that was really the whole motivation for the extension – North Greenwich, home of what was formerly known as the Millennium Dome. Now I’m old enough to have first moved to London before the Millennium Dome was open and it’s fair to say that at the time no one quite knew what to make of it. Yes, everyone wanted to celebrate the millennium, but no one was entirely convinced that the Dome would be finished in time, or that people would want to go and visit it. I’m probably one of the few people who did make the trek to North Greenwich in the year 2000 and it was for the sole purpose of visiting the Dome. I came away feeling a bit meh, but having enjoyed the Blackadder screening in the building outside, which many people had described as a highlight of the trip. Looking back, it wasn’t really that bad at all, and I do seem to recall being quite impressed at the time by the huge human body that you got to walk through in one exhibit. Nowadays, the Millennium Dome has been re-branded as the O2 and it’s a fantastic leisure venue with cinemas and restaurants alongside the major entertainment venue. 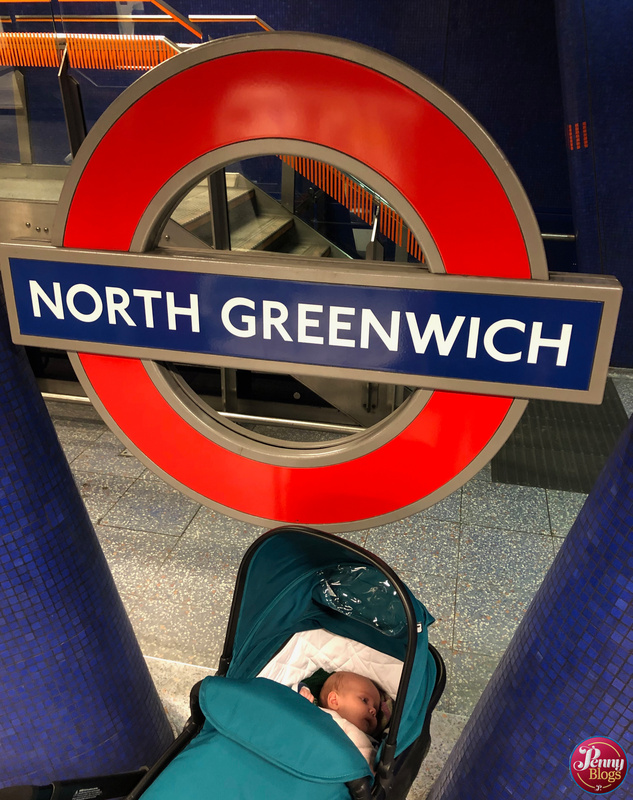 I’ve been there on another occasion for a blogging conference, and we’ve also taken the older kids there when we took them for a ride on the Emirates Airline over the Thames (a trip I’m sure we’ll take Tube Stop Baby on one day too). North Greenwich may be known now for the Dome, but the idea of an underground station in the area was first proposed way back in 1973, as part of what was then called the Fleet Line. The station would have been on part of the line from Charing Cross to Beckon via Fenchurch Street. The line got approval, but no funds, so North Greenwich station didn’t actually happen until the Jubilee Line extension got the go-ahead in the 90s with the route south of the river to Stratford in the East. The track layout at North Greenwich has been designed so that a future extension branch to Thamesmead is possible, but at present there are no actual plans to do so. Knowing what there was to see and do, we took a trip above ground at North Greenwich. We may well return on a day that a bit warmer, and when the whole place isn’t swarming with people there for Disney on Ice! Until then though there’s the rest of the tube map to explore.